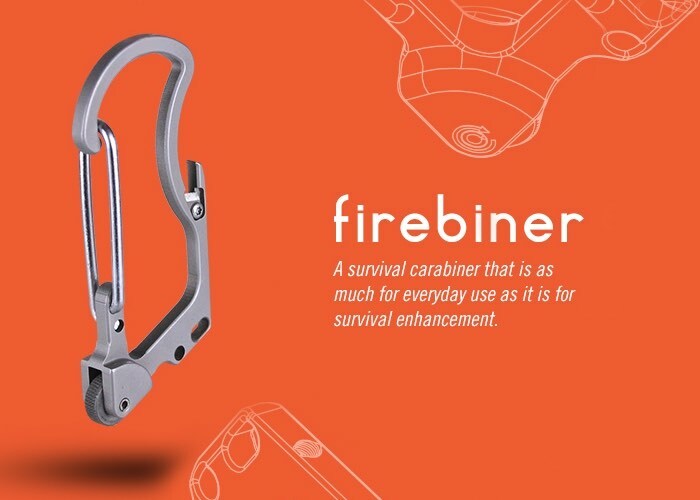 A new fire lighting gadget has been created by Outdoor Element which has been called the Firebiner and as the name suggests takes the form of a carabiner style survival tool equipped with multiple functions. The fire starting multitool is available to back via Kickstarter with super early bird pledges starting from just $9 with shipping expected to take place during February 2017. Watch the promotional video below to learn more and see it in action. We agree. The Firebiner is all that PLUS it has the ability to make fire easily with our patent-pending EverSpark technology. It has a titanium-coated stainless steel body construction rated for up to 50 pounds of gear (not for climbing or hanging anything with a beating heart). And, don’t forget the small utility blade. We even designed in a screwdriver tip for the next round of prototypes.